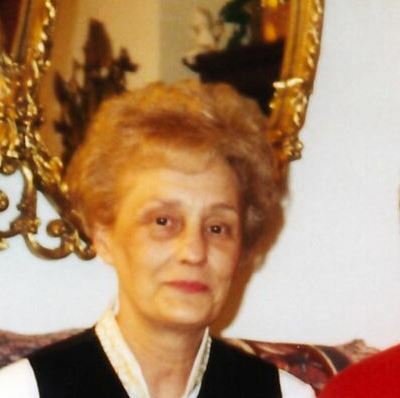 Obituary for Mary Jean (Sobus) Price | Bruzdzinski Funeral Home, P.A. On March 18, 2019; Mary Jean Price.Beloved wife of the late Arthur Faust Price. Devoted mother of Marcella Price, Kathryn Kroening and Kurt Price and his wife Katie. Loving grandmother of Seth Crittenden, Zachary Kroening, Cassandra, Meridith and Samuel Price, Tyler Miller and his wife Erin and Meghan Kuszmaul and her husband Drew. Cherished great grandmother of Jett-Royer and Hendrix Kuszmaul. Dear sister of Michael A. Sobus and his wife Nancy and John L. Sobus and his wife Marian. Friends may call at the family owned Bruzdzinski Funeral Home P.A., 1407 Old Eastern Avenue Essex at Rt.702 (Beltway exit 36) on Sunday from 2 PM to 6 PM. A funeral service will be conducted at 5PM. Followed by private cremation. In lieu of flowers memorials may be directed in Mrs Price's name to Alzheimers association or Gilchrist Hospice, Links Below.